The Update PP-512 pu pu platter is made to serve appetizer samplers with small portions of meat and seafood in each of the five compartments. With a lazy suzan base, the dish rotates to ensure each person at the table can reach every item. 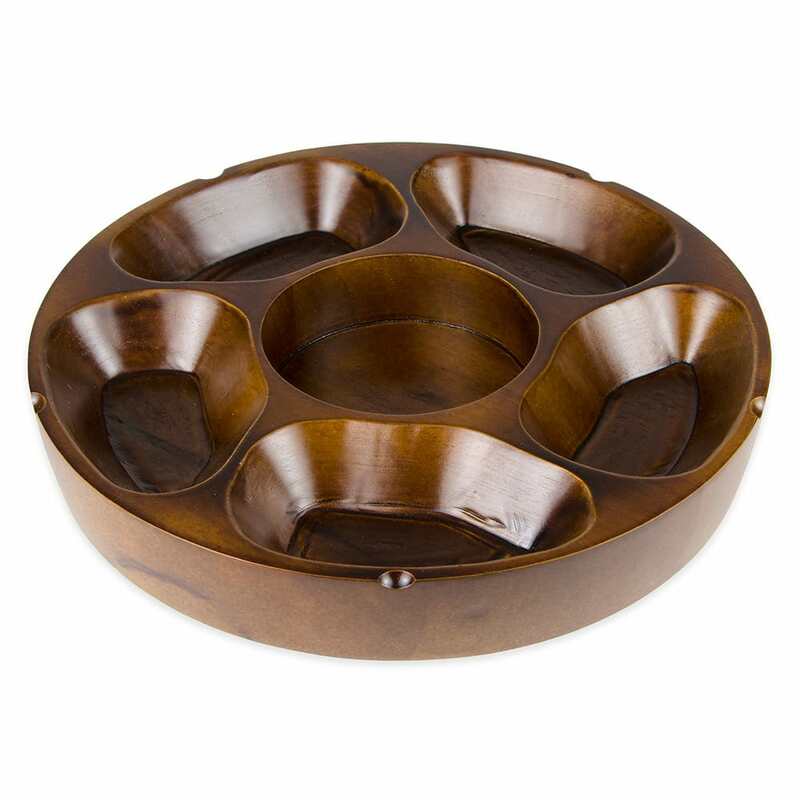 Constructed of rubberwood, the platter is strong and durable. "It looks good and works good"
"This is a lovely and sturdy wooden platter, I'm very pleased with this purchase."